Christina S. Stilianopoulou was born in 1965. She studied Social Work at the Health and Welfare Department of Technological Educational Institutes (TEI) of Athens. She completed her postgraduate studies at the National School of Public Health and she obtains a Master of Science (MSc) in Public Health. She has worked as a Social Worker from 1999 until 2008 & 2010-2011 at Open Care Centers for Elderly People (KAPI) in the Municipality of Agii Anargiri. 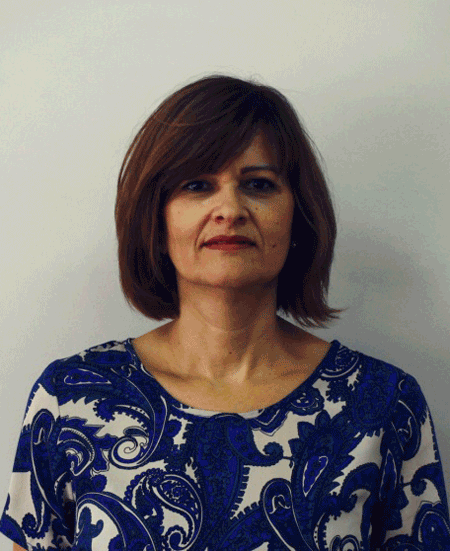 During 2009 she worked at a Public Hospital institution and in 2013 at the Social Service of the Municipality of Elefsina. Since 2014 she has been working at the Section of KAPI of the Social Service Department in the Municipality of Agii Anargiri-Kamatero. During the academic years 2011-2012 she taught the lesson “Information and Social Work” as a laboratory affiliate to the section of Social Work of TEI of Athens.